Hooked! 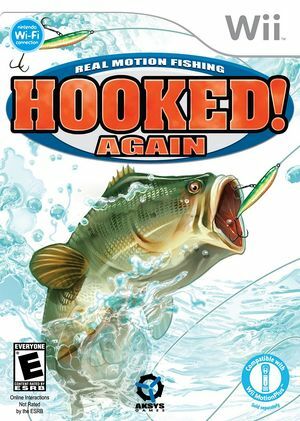 Again: Real Motion Fishing replicates all the excitement and tension of fishing without having to leave the comfort of your living room. Participate in one of the many modes and unlock the latest lures that'll help you catch the elusive lunker. Once you think you've mastered the single player modes, you can take your angling skills to the ultimate test and challenge the best fisherman online. The graph below charts the compatibility with Hooked! Again: Real Motion Fishing since Dolphin's 2.0 release, listing revisions only where a compatibility change occurred. This page was last edited on 24 February 2018, at 07:16.